Sheer and soft tulle skirt for several occasions. Both circle cutted and pleated for the maximum feel of flowing. Lovely to the vest Joline and/or jacket Dolly but also chic to a casual jumper. 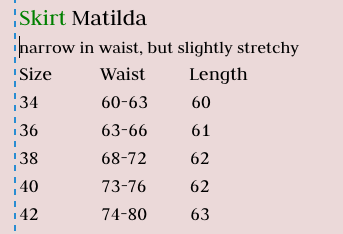 Narrow in waist, check if you need a larger size than normal.